After the last post about high performance, high level programming, Slava Pestov, of Factor fame, wondered whether it was generally true that “if you want good performance you have to write C in your language”. It’s a good question to ask of a high level language. In this post I want to show how, often, we can answer “No”. That by working at a higher abstraction level we can get the same low level performance, by exploiting the fact that the compiler knows a lot more about what our code does. We can teach the compiler to better understand the problem domain, and in doing so, enable the compiler to optimise the code all the way down to raw assembly we want. Specifically, we’ll exploit stream fusion — a new compiler optimisation that removes intermediate data structures produced in function pipelines to produce very good code, yet which encourages a very high level coding style. The best of high level programming, combined with best of raw low level throughput. This post is based around a simple microbenchmark developed in the last post of this series: computing the mean of a list of floating point values. It’s a tiny program, but one with interesting properties: the list is enormous (10^9 values) — so dealing with it effectively requires laziness of some kind, and a naive implementation is far too inefficient, so we have to be smarter with our loops. In the previous post we looked at how and why the Haskell version is able to compete directly with C here, when working at a low level (explicit recursion). Now let’s see how to fight the battle at high altitude. Strict products, of atomic types, have a great property: when used like this they can be represented as sets of register variables (compile with -funbox-strict-fields). The P data type is essentially an abstract mapping of from P’s fields into two registers for use as loop accumulators. We can be fairly certain the fold will now compile to a loop whose accumulating parameters are passed and returned (thanks to the “constructed product result” optimisation), in registers. Right, so we got an answer, but dropping out to the heap to get the next list node is an expensive bottleneck in such a tight loop, as expected. The deeper problem here is that the compiler isn’t able to combine left folds with list generators into a single loop. GHC can do this for right folds, as described in the original paper for this optimisation, A Short Cut to Deforestation . That is, if you compose certain functions written as right folds GHC will automatically remove intermediate lists between them, yielding a single loop that does the work of both, without any list being constructed. This will work nicely for pipelines of the following functions: head, filter, iterate, repeat, take, and, or, any, all, concat, foldr, concatMap, zip, zipWith, ++, map, and list comprehensions. But it won’t work for some key left folds such as foldl, foldl’, foldl1, length, minimum, maximum, sum and product. Another downside is that the enumFromTo list generator only fuses for Int, Char and Integer types — an oversight in the current implementation. What we need is a different deforestation strategy — one that teaches the compiler how to see through the left fold. An alternative (and new) deforestation optimisation for sequence types, such as lists or arrays, is stream fusion, which overcomes the foldr bias of GHC’s old method. As GHC allows custom optimisations to be written by users in libraries this is cheap to try out — the new optimisation comes bundled in the libraries of various new data structures: the fusible list package, and a new fusible arrays libray. It is also available for distributed parallel arrays, as part of the data parallel Haskell project, from which the non-parallel fusible arrays are derived. 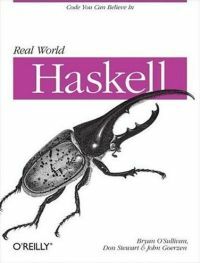 There are two main enabling technologies that have brought about this abundance of data structure deforestation optimisations in Haskell: user-specified term rewriting rules, and ubiquitous, pure higher order functions. If you don’t have the former the burden of adding new optimisations by hacking the compiler is too high for mortals, and if you don’t have the latter — HOFs with guaranteed purity — there simply won’t be enough fusion opportunities to make the transformation worthwhile. Happily, GHC Haskell has both — in particular, it can be more aggressive as it knows the loops will have no side effects when we radically rearrange the code. Fun, fun, fun. So 16k allocated in total, and the garbage collector was never invoked. There was simply no abstraction penalty in this program! In fact, the abstraction level made possible the required optimisations. Here’s a quick review of how this works. For the full treatment, see the paper. This type lets us represent traversals and producers of lists as simple non-recursive stepper functions — abstract loop bodies — which the compiler already knows how to optimise really well. Streams are basically non-recursive functions that either return an empty stream, or yield an element and the state required to get future elements, or they skip an element (this lets us implement control flow between steppers by switching state around). And that’s it. GHC now knows how to remove any occurrence of an array construction followed by its immediate consumption. So the fast inner loops are fine, and we get to use a high level language for all the surrounding glue. That’s just super. So, to answer Slava’s question: yes, we often can get the performance of C, while working at a higher altitude. And to do so we really want to exploit all the additional information we have at hand when working more abstractly. And the user doesn’t have to know this stuff — the library already does all the thinking. Knowledge is (optimisation) power. Thinking at a higher level enables the compiler to do more powerful things, leaving less work for the programmer. It’s all win. Suppose I would want mean to still have type ([Double] -> Double) though. I see I can write it using (toU xs) inside of mean instead of (enumFromToFracU n m). Then fusion doesn’t happen. I’m very novice with Haskell and so I quickly got stuck. “RealFrac.toU/enumFromTo” (RealFrac n, RealFrac m) => forall n m.
It doesn’t work unfortunatly. Could You have any guidance? Am I missing something or am I completly misleaded? Update on previous comment: I learned rewrite rules and adequate ghc options to fire them… So problem solved and you can delete previous comment. However I have to admit that I find those ghc optimizations flags quite obscure (use of -funbox-strict-field for exemple). Details play a great role here! Have you tried examples where the C compiler (eg. icc from Intel) manages to vectorize the code? Eg. where we'd expect the use of 'packed' sse instructions? On recent machines this should be quite a bit faster. Are there some from-the-trenches tricks we can use to get close to the same performance in Haskell using GHC?